Are you like me? Do you get a rush leaving your house at midnight the Friday after Thanksgiving as you drive to the stores? Love that feeling of cool air mixed with the beginning sounds of Christmas songs poking into the radio stations? Do you relish in the pre-dawn coffee treat at Starbucks as you’ve successfully ended the bulk of your Christmas shopping while many are still sleeping of their turkey dinner? Black Friday has become a very special tradition to me. It’s the start of the Christmas season, the most magical time of the year, and really gets me in the spirit! Now, it can be a challenge navigating through all of the super-savings that the stores have to offer, and I spend a good amount of time clipping coupons and mapping out my trip. Of course, any help is most appreciated. Reg. $39.99. Now $19.99. Star Wars, other characters, available. Available at Kohl’s. Well, the folks over at Mickey Fix are lending a very helpful hand. They have compiled all the Disney sales that they could possibly find and listed it on one convenient place. Click here to be directed to their site! Do you have any particular Disney items on your shopping list? Are you Black Friday shoppers, or do you prefer to sleep in and wait for Cyber Monday? 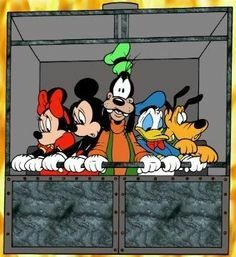 Whatever your preference may be, I think we can all agree that a Disney deal is always in season! Have fun everyone! Holy cow! There certainly is a whole lot happening with the Star Wars franchise. New movies, new games, new products, new faces, it’s overwhelming to say the least. 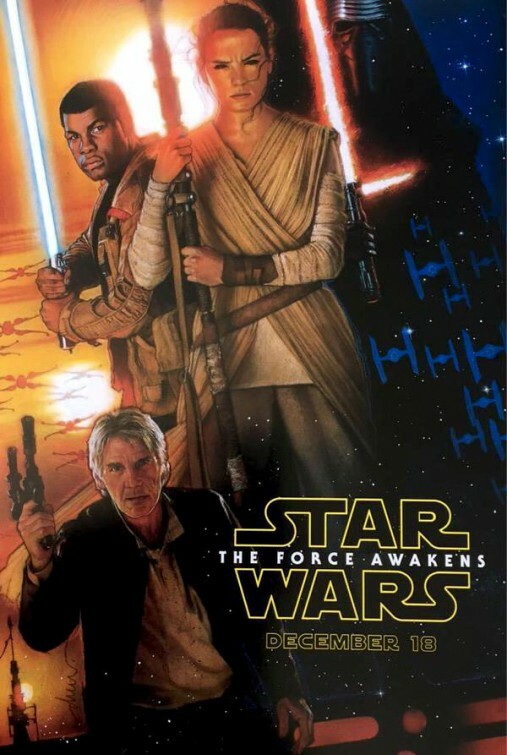 The seventh installment of the Star Wars films, Star Wars: The Force Awakens, will be released December 18th. Harrison Ford will return, I’m happy to say. Below is a video of Ford thanking his entusiastic fans at D23 this past weekend. Video is courtesy of IGN. For more information on all of the exciting Star Wars developments coming our way fairly soon, I highly recommend visiting this page. 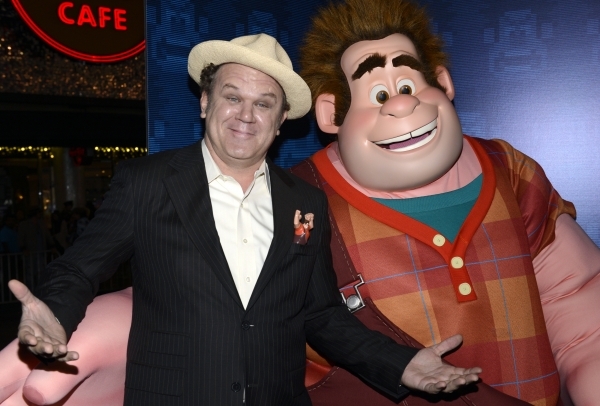 John C. Riley will return as Wreck-It Ralph, the protagonist/antagonist (mmm) in a rather sleepy Disney movie. Before seeing Wreck-It Ralph, I had never even heard about the movie. But I immediately fell in love with it after the first time. The movie is super creative, and while there some great gamer references, it’s not going to leave the video-game novice out in the cold. None of the other voice-actors, such as Sarah Silverman, Jane Lynch, or Jack McBrayer, have confirmed or passed on a return. Hopefully they all come back. I can’t imagine the movie without any of them, but especially Silverman as the convincingly young Vanellope. There isn’t much information on the sequel, [but] the film’s director, Rich Moore, has stated that part two will likely find the big-fisted Ralph exploring the worlds of online gaming and console gaming. There have also been discussions with the highly-protective Nintendo to have some of their signature characters (Mario, Luigi, Link, Zelda) share the screen with Ralph & Co.
To be completely honest, I am way more excited for this sequel than I was when they confirmed a Frozen 2. Some movies don’t need a second film, especially the Disney “classics” that have the feeling of a bedtime story, wrapped up with an “and they all live Happily Evert After” and a kiss goodnight. The proof? Have you ever seen Mulan 2, or The Little Mermaid II: Return to the Sea? How about Cinderella 2 AND 3?!?! All awful, in my opinion, of course. The only Disney sequel’s that I could enjoy was The Lion King 1 1/2, and that’s because it wasn’t exactly a sequel, but a re-telling from Timon and Pumba’s point of view. Also, the Toy Story trilogy’s were brilliant, but again, I’m not happy about a fourth installment. I think they did a perfect job ending the saga on the third.